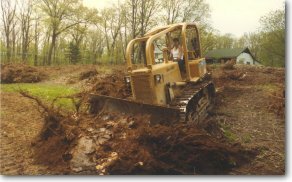 We first clear and level the land, before excavation starts. 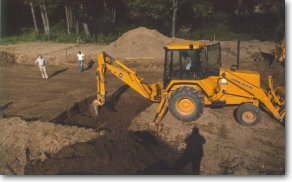 Moving soil on site is very easy with the right equipment. 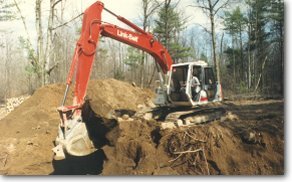 WITH our excavators hogging out a foundation it's like driving with power steering, or driving with an automatic transmission. IT'S EASY! Some foundations are easy digging... and are a snap to do. BUT... sometimes it's wet and miserable to dig. We can still handle the job. 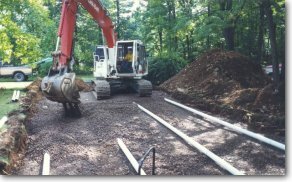 With a high water table, WE lay down a layer of gravel under the foundation as long as we can draw the water away with piping to lower ground. 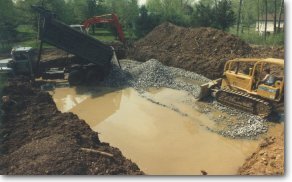 MANY of our customers thank us for giving them a DRY basement. 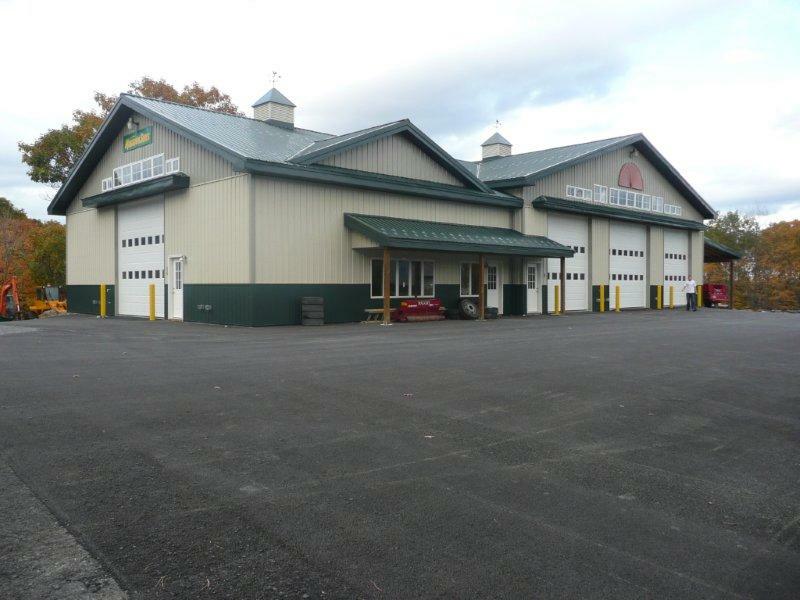 COMPACTION for single & double wide slabs, garages and driveways is key to eliminate settlement problems. 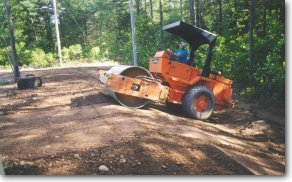 Our 10 ton roller DOES THE JOB! 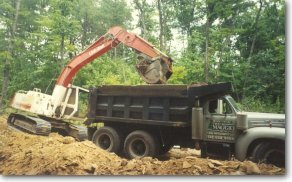 INSTALLING a septic system... Our favorite is an inground GRAVEL BED SYSTEM. This is one of several types that can be installed. Much depends on soil conditions, area limitations and preferences.